The sweetest little baby grow for your little one to wear whilst snoozing and dreaming of the future and the big wide world they have yet to explore! Short sleeve babysuit in soft and stretchy 100% Cotton, with shoulder detailing and poppers for ease of dressing. 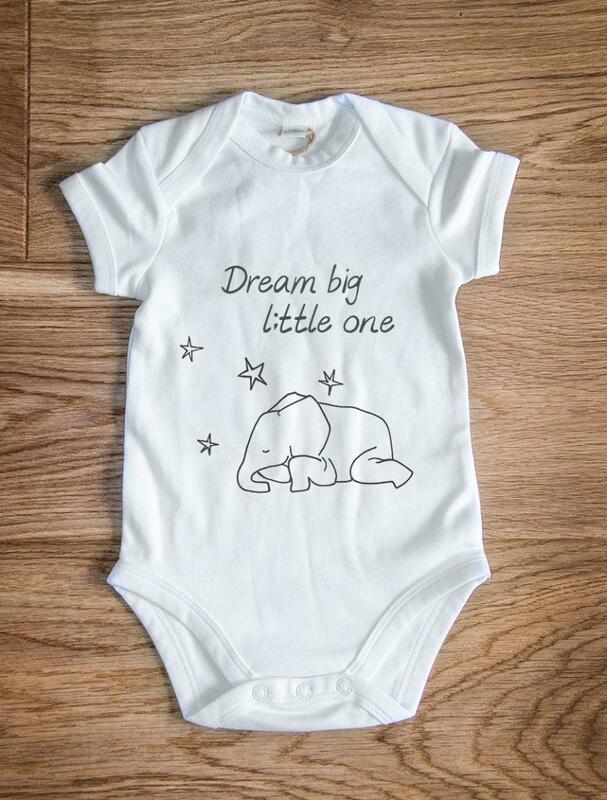 Designed in-house by our talented illustrators, the print features an adorable snoozing elephant and an inspirational quote reminding your little one to dream big and reach for the stars! Please allow up to 3 working days for processing before dispatch.